It’s finally Halloween and the volleyball world was ready to show off their spooky costumes, pumpkins and other Halloween fun. Scroll down to see the top-10 volleyball Halloween social media posts. This thread from the Nebraska Cornhusker athletics page was clutch in the wake of Halloween. The Husker Volleyball Twitter page tweeted out their interpretation of E.T. featuring Big Red. Miami (OH) brought their A-game on the eve of Halloween with a costume practice. 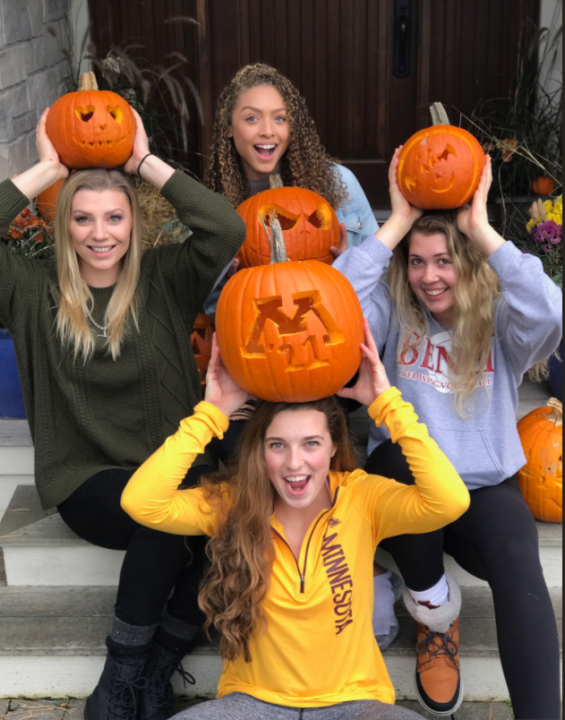 The Gophers took time out of their Sunday to head over the head coach, Hugh McCutcheon’s house to carve some festive Halloween pumpkins. The Basha High School volleyball team gets goofy with their costumes. This adorable girl is rocking a WKU volleyball outfit to showcase her love for the squad on Halloween. Check out this sweet volleyball pumpkin carving. Chattanooga getting creative with the classic Pac-Man costume. Doherty is having some fun with their Halloween practice by playing some blind dodgeball. Want to take a guess at your favorite Mizzou volleyballers in their childhood Halloween costumes? This huge Instagram volleyball lover posted some cool pumpkin carvings just in time for Halloween.